Jen Pettit reviews WolfWare wireframes as part of the WolfWare redesign and usability project. 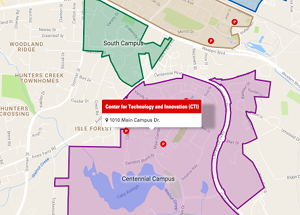 Since DELTA manages the NC State enterprise-level academic technologies, striving to improve the university’s online learning environment is all in a day’s work for our DELTA crew. Our staff does a considerable amount of behind-the-scenes work on the WolfWare website and other technology tools. WolfWare was enhanced beginning in the fall 2017 semester with the addition of an email list tool, WolfWare WordPress and a revamp of the Course Management page. In addition to rolling out new tools, DELTA worked with a local web development firm, Atlantic BT, to get their recommendations for ways to improve the interface of the WolfWare website. This project extended a previous analysis of help calls and a WolfWare usability study released in May 2017, combining those with observations of some sticky points in the interface from reoccurring help calls and new feature requests. Atlantic BT provided expert review of workflows and how the WolfWare website facilitates those workflows. The goal was to make WolfWare more intuitive for instructors to set up their technology for the semester. When asked about why DELTA engaged Atlantic BT, Harrison said it was time to get fresh eyes on the project. In addition to kick-off meetings where expectations were set, DELTA shared data with Atlantic BT about problematic areas with the interface. The focus of this phase of the project was on the course creation workflow in WolfWare. Wireframes of a course creation wizard along with a revamp of the interface went through two design iterations this fiscal year. In addition, Atlantic BT provided wireframes for a new email tool interface and some suggestions on what to do with the current WolfWare navigation bar. The wireframes were shown to a small group of faculty with varying degrees of expertise with WolfWare and Moodle. 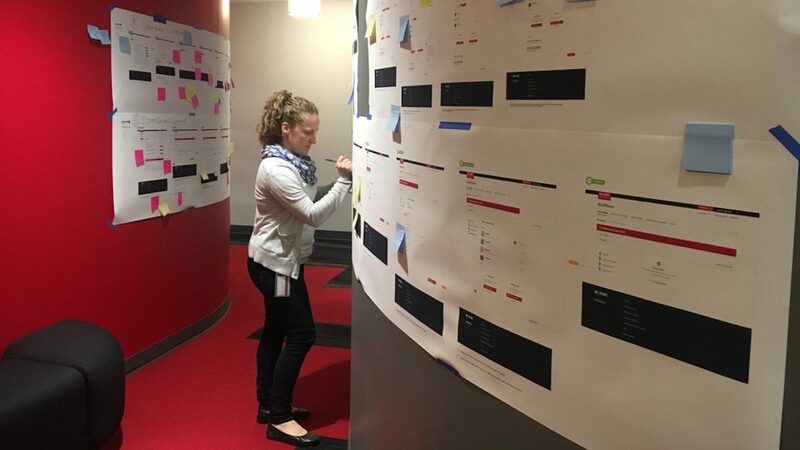 The project team also invited DELTA staff to review the wireframes by posting printouts on a centrally located wall in the DELTA offices. Post-it notes and pens were provided for specific input for a determined amount of time. Staff provided feedback, along with their initials, so they could be asked about their suggestions if further information was needed. The end result of the project was a decision to move forward with a redesign of the WolfWare website. The timeline for this project is unclear, but it will probably be a multi-year effort. Currently, the collaboration with Atlantic BT is on pause for six months while two DELTA-only project teams work on WolfWare specifications and user experience and interface design (UX/UI). PHP Developer/Information Architect Jonathan Champ and McCuen are working to provide technical and functional specifications for WolfWare with input from DELTA’s Educational Technology Services team. Lead Project Coordinator Laurie Gyalog, Dulberg and Pettit are focusing on UI/UX and reviewing wireframes and workflows from Atlantic BT as well as DELTA staff members’ feedback to make recommendations and design decisions. The ultimate goal is for WolfWare to be a one-stop shop with an interconnected set of systems that are seamless for instructors to deploy. One of the main challenges going forward is to have an interface that is easily discoverable but allows users to harness the power of many interconnected systems. No specific improvements or features have been settled on, though for course creation, a more wizardly approach may be in the works. Stay tuned.